Schedule with confidence! “If a spot comes back, so do we!” Our services always include our 30 Day Satisfaction Guarantee and 6 Month Warranty! (click for details) and a free bottle of spot remover with a lifetime replacement! Our IICRC certified technicians are all fully trained in the identification of different carpet types, construction and installation of your carpets and can help you decide what would be best for you no matter if your carpet is made of natural or synthetic materials. Our staff includes 3 IICRC certified Master Textile Cleaners. We also provide rug cleaning services for your fine wool oriental rugs and area rugs! We offer carpet repair services as well! Click here to view some of our before and after photos. We will walk through the cleaning job with you to make sure we know exactly what work is to be done and we will tell you exactly how much it will cost. At any time you may ask for an estimate on the many services we offer. We will use a powerful pre-treatment to loosen the soil in your carpet. This powerful cleaning agent is completely safe for all carpets, even wool. We will then thoroughly extract the soil from your carpet using a rinsing agent designed to remove any residue. Along the way we will move and replace most furniture, placing plastic squares under legs and foam blocks under furniture with a base; this will protect your furniture and carpet. We ask that you move smaller and breakable items. We then apply Advanced Carpet Protection (included in price) to save you both time and money by keeping carpets clean longer and allowing spots to clean up easier. To read more, Click here! 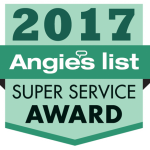 You will begin to receive Angelo’s Quarterly Newsletter with helpful tips and special offers. MINIMUM: $125.00 IF ONLY SPOT CLEANING Or Priced by the Spot if done with other carpet or upholstery cleaning. THE FOLLOWING ARE TOUGHER SPOTS THAT MAY BE AN ADDITIONAL CHARGE (ABOVE NORMAL ROOM PRICES). THIS IS ONLY A LIST OF EXAMPLES. THERE MAY BE OTHERS. 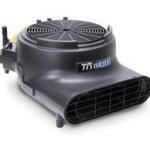 Includes 1 Carpet dryer and 1 moisture detector. Did you know that most carpet manufacturers (the people who make the carpets) recommend hot water extraction cleaning and re-application of carpet protector at least every 18 months to keep your carpet warranty valid.We offer several different carpet cleaning systems coupled with the many different cleaners, all in effort to give your particular carpets the best cleaning possible. Let’s take a look at the differences. Steam/ hot water extraction: Probably the most widely used, this system uses little cleaner and mostly water. It offers a deep down rinsing action with a drying time of 4- 8 hours depending on inside and outside weather conditions. 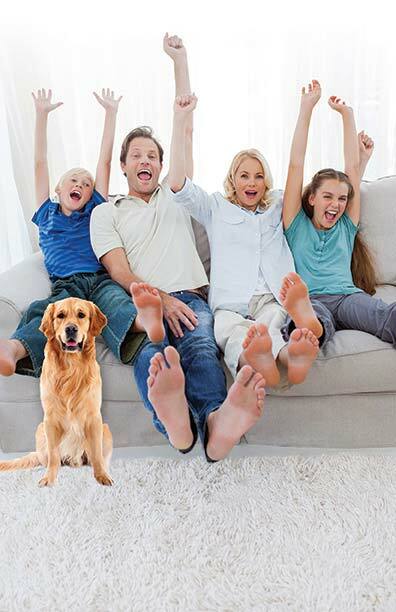 Our system uses a powerful pre-treatment to help release dirt and oils, then we use a fiber rinsing agent to rinse away every trace of dirt and cleaning solution, leaving behind a residue-free carpet that’s squeaky clean and soft to the touch. Our carpet cleaning equipment applies the rinsing agent, scrubs the carpet and thoroughly extracts the soil and water leaving your carpet just damp to the touch. We do not run long hoses from our trucks through your yard and home, nor do we connect to your faucet. Our equipment is only about as loud as a vacuum, so your neighbors will not be disturbed. Bonnet cleaning: A dry (low moisture) cleaning system that dries in about an hour, uses more cleaner and less water. This surface cleaning is good for fast cleanings before parties and get-together’s, also good as a regular cleaning for some types of carpets and situations. This system uses a 17 inch 175 rpm floor machine and a cotton or micro fiber bonnet that buffs the carpet, leaving it clean & fresh. Encapsulation cleaning process: A low moisture cleaning system which uses a special formula that actually encapsulates the soil and is removed every time you vacuum the carpet. It’s amazing how well it works on the right carpet in the right situation. It dries extremely quickly and is applied by either a triple brush system rotating individually and as a whole at the same time or with a bonnet. The prices for the above systems are all the same and are all inclusive (as listed above). Another system that we offer is a dry powder system: This system is not used as much; it usually costs more and is less effective. It’s dry within a few minutes. Can be used every day, needs to be vacuumed thoroughly. 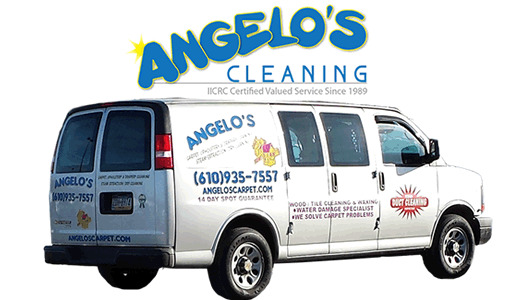 Serving Phoenixville, King of Prussia, Radnor, Newtown Square, Haverford, Wynnewood, West Chester, PA, Coatesville, Downingtown, Limerick, Harleysville, Norristown, Upper Darby, Lansdale, Pottstown, Douglassville, and surrounding areas!